1 – Women of the Word by Jen Wilkin: This is a primer on how to read and study the Bible. From what I’ve read so far, it’s like my seminary courses in one much-easier-to-read place. I’ve met Jen through The Gospel Coalition and heard her speak a few times. I love her passion for people and for women to be biblically literate. Amen to that! 2 – Ender’s Shadow by Orson Scott Card: My husband is a sci-fi guy, and he told me that since I liked Ender’s Game so much, I would also enjoy Ender’s Shadow. It’s been a page-turner so far, one that keeps me up way later than my bedtime. 3 – The Life-Changing Magic of Tidying Up by Marie Kondo: This Japanese organizer’s primer is making its rounds among my friends and the top-seller lists. I was thrilled to receive this book as a gift from my BFF and hope that it will help me to simplify my home as its radical premise claims. 4 – Simply Tuesday by Emily Freeman – I’m reading an advance copy and you will be hearing more about this as the publication date draws near (early August). Freeman is a favorite author and blogger, and I can’t wait to enjoy this new book of hers. It made my day when it arrived in the mail yesterday. 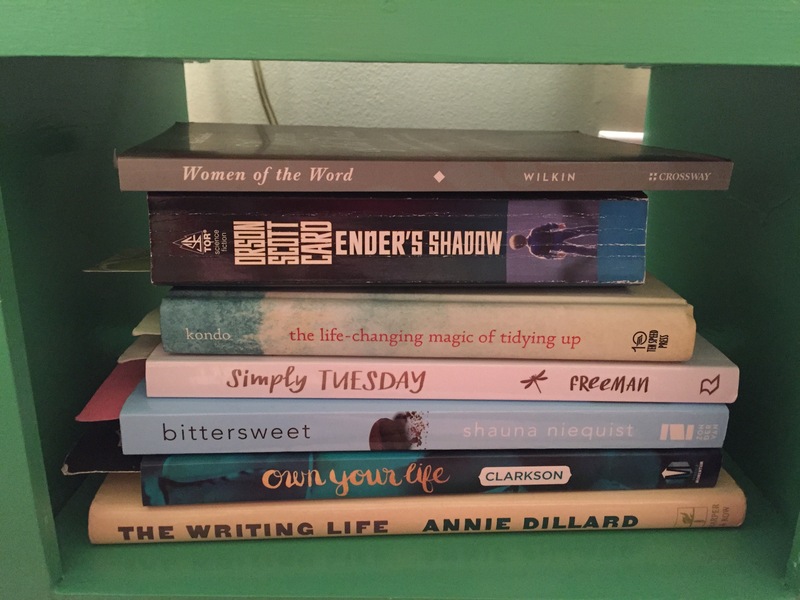 5 – Bittersweet by Shauna Niequist – Her writing style is vividly poetic and her stories ring true and honest. After enjoying her first book, Cold Tangerines, I had to put this one on my list, too. 6 – Own Your Life by Sally Clarkson – She’s the co-author of a favorite motherhood book, Desperate (with Sarah Mae). And full disclosure: as a Tyndale House Blogger, I chose this one to review. Several months ago – so it’s time! She’s a veteran mom with biblical wisdom and a mentor’s heart, and the title alone begins to help me show up in my life as it is. 7 – The Writing Life by Annie Dillard – As a writer, I need to read Annie Dillard. And what better place to start than this collection of her writings about writing? Women of the Word is also on my list! It comes very highly recommended. Thanks for the suggestions. Happy reading! You too! I’m enjoying reading your book reviews as well. Women of the Word–SUCH a good book! I think every Christian woman needs to read, and own this one. 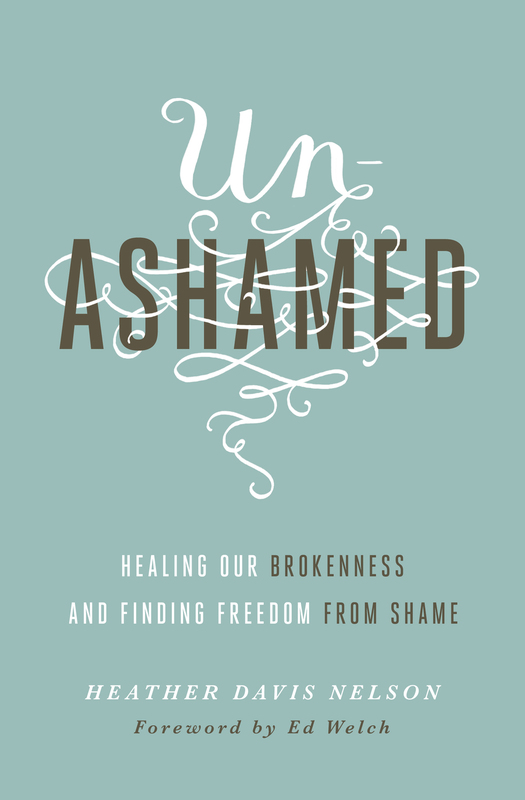 I’ve never read any of Shauna Niequist’s books (i know, i know..) but I’ve heard such great things about all of them. I’m interested to hear your thoughts on Sally Clarkson’s book–another author I’ve never read, but have heard mixed reviews on. And, YAY for being on the launch team for Simply Tuesday! I started my copy on Monday and it is SO good. We’ll have to meet over coffee to discuss it. Me, too. What’s on your summer list? I’d especially love some good fiction recommendations. It’s been a while since I commented on your blog but I have been reading it and enjoying it over the weeks. I loved seeing your summer reading list. I’m working on mine right now and feeling slightly envious of you with the advance copy of Emily Freeman, which weren’t available to UK reviewers unfortunately. We haven’t broken up for the summer here yet but I’m hoping to write a reading lists post quite soon and will put a link to your piece in it. PS. Annie Dillard on writing is of course unmissable, but you shouldn’t miss Pilgrim at Tinker Creek. Thanks for the comment and also for another good recommendation by A Dillard. I’ll look forward to your summer post when you have it!